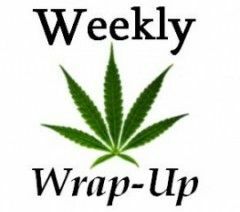 Attorney General Jeff Sessions again criticizes marijuana without offering a clear policy plan, Oxford University receives millions to study medical cannabis, and Massachusetts liquor store owners are eyeing the rec MJ market. But the situation is about as clear as mud. Sessions did suggest Wednesday that the Department of Justice is essentially unable to initiate widespread raids on the hundreds of state-licensed, adult-use marijuana businesses currently operating in four states, and that “much of” the 2013 Cole Memo is “valid.” But he stopped short of explicitly saying he wouldn’t prosecute cannabis companies. And on the same day, he spent part of a speech lambasting marijuana and even put it on par with opiate abuse – a theory the Washington Post and other media outlets have scientifically debunked. As the new head of the DOJ, Sessions has spent the past two months tiptoeing around any kind of solid cannabis policy plan, and he again offered no specifications, guidance or clarity. Only rhetoric. And that’s leaving many politicos confused about what to expect from the Trump administration concerning marijuana. Beth Collins, the director of government relations for Americans for Safe Access, said conversations she’s had with beltway insiders have gone very different directions. Some are under the impression marijuana is not a priority for Sessions and Trump; others remain worried about federal interference. Oxford University is receiving 10 million pounds ($12.3 million) to study the potential benefits of medical marijuana, and that could yield valuable research that leads to greater use of MMJ as a treatment. Oxford, of course, is one of the most respected research institutions in the world. “I think it’s a significant move,” said David Schubert, a professor at the Salk Institute in California who studies the effect of MMJ on Alzheimer’s disease. Marijuana’s federal classification as a Schedule 1 Controlled Substance complicates the work of cannabis researchers in the United States. The research data is very preliminary, Schubert said, and has been for the past few decades. Product also is hard to obtain for research purposes. Schubert cited as an example the lack of clinical trials involving cannabis treatments for Alzheimer’s. He gets frequent calls from people seeking his advice on treating Alzheimer’s or strokes with THC or CBD products they have acquired. But “nobody has a clue about dosing because there are no clinical trials,” Schubert said. He’s heard plenty of anecdotal evidence about MMJ helping people. But without hard data it’s difficult to standardize cannabis as medicine. Schubert was surprised to see Oxford is being funded by Kingsley Capital Partners, a London-based venture capital firm, because the two likely have different motivations for the partnership. The Massachusetts Package Store Association, which represents liquor stores statewide, raised some eyebrows when it threw its support behind members who want to pursue recreational marijuana retail licenses. After all, the cannabis and alcohol industries appear to be bitter rivals. Some investment analysts assert that marijuana sales are undercutting alcohol revenue in rec states – to be fair, studies show that liquor sales in Colorado have increased since rec legalization – while some alcohol trade groups have worked against pro-cannabis efforts. The Arizona Wine and Spirits Wholesale Association donated $10,000 last year to oppose legalization there, while the California Beer and Beverage Distributors associations donated $10,000 to Public Safety First, a committee that opposed legalizing marijuana in 2010. And in the Bay State last year, the Beer Distributors of Massachusetts and Wine & Spirits Wholesalers of Massachusetts combined to contribute $75,000 to the campaign against legalization there. But the package store association stayed mum on the cannabis issue – until now. Frank Anzalotti, executive director of the association, said many members have expressed interest in pursuing marijuana business licenses. He pointed out that two recent members-only meetings to discuss marijuana retail licensing each attracted more than 100 people. So, can alcohol and cannabis coexist? “We are not necessarily thinking that the industries would have to coexist,” Anzalotti said. “It may be that the two businesses – alcohol and marijuana – be separated in ways such as separate entrances, separate staffs, separate display and sales areas. Wow >>>> I don’t know how those so called business owners can stay in business. They appear against another way of making MONEY. So big deal its Cannabis and Alcohol together in the same store. What the F..K are they going to co-mingle and give us a different product to be worried about. Wait and see when the BIG BOYS et involved then those store owners will be scrambling and oops it will be too late for them. Very short sighted people for sure. I think the point was that they want to explore licensing but not necessarily in the same location, which for security and data tracking makes sense. The negative is the appearance it may have for cannabis sales to be controlled by non-industry experts or potentially conflicting product sales. I would hope they leave the process open and intelligent rather than give it to a single group. Marijuana is a universal medicine, folks use it to feel better making practically all cannabis use medical. Sessions is stuck in ‘Reefer Madness’, he helped make it popular as a tool of racist progroms to disenfranchise blacks, Mexicans and hippies. Now there are hundreds of millions of true believers in the Marijuana Church and the movement to end Big, Corrupt Government Regulations is Way to Large to Stop. Let the people plant the herb and prosper. Sessions will do nothing. He has too many bigger problems and Trump won’t alienate his voters either.